When Alton is asked by his ageing, blind uncle to attend bridge games with him, he does as he's told. After all, it's better than a boring summer job in the local shopping mall, and Alton's mother thinks it might secure their way to a good inheritance sometime in the future. But, like all apparently casual choices in any of Louis Sachar's wonderful books, this choice soon turns out to be a lot more complex than Alton could ever have imagined. As his relationship with his uncle develops, and he meets the very attractive Toni, deeply buried secrets are uncovered and a romance that spans decades is finally brought to a conclusion. Alton's mother is in for a surprise! Louis Sachar was born in East Meadow, New York. While studying at the University of California he became a teacher's aide to gain extra credit, but in fact it turned out to be his favourite class and inspired him to write children's books. After graduation he worked in a sweater warehouse in Connecticut and wrote at night. After he was fired from that job he moved onto law school where in his first week of study Sideways Stories From Wayside School was published. After completing his studies in 1980 he became a part-time lawyer but was compelled to concentrate on his writing full-time. 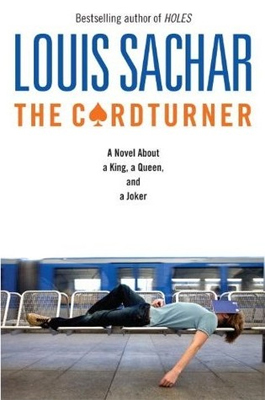 Once Sachar begins writing a new book he refuses to talk to anyone until it is finished and his office is also barred apart from his two dogs, Lucky and Tippy. He is inspired by various sources including his daughter and by events from own his childhood. He lives in Austin, Texas and has won major literary awards for his books including the Newbery Medal and the National Book Award.